Places like St. Lucia in the Caribbean and Paris are usually at the top of the list for romance travel. However, there are several other places that may not come to mind at first but make wonderful vacation spots for couples. Crystal Cruises has compiled a handful of the top romantic destinations for lovers to explore together, and some may not be on your radar. The shores of Koh Samui, Thailand do not disappoint. Couples will love walking the stunning beaches hand in hand and kicking back to relax and watch the waves come and go together. Also located in this area is the Hin Lad waterfall, which is a fun site to explore. 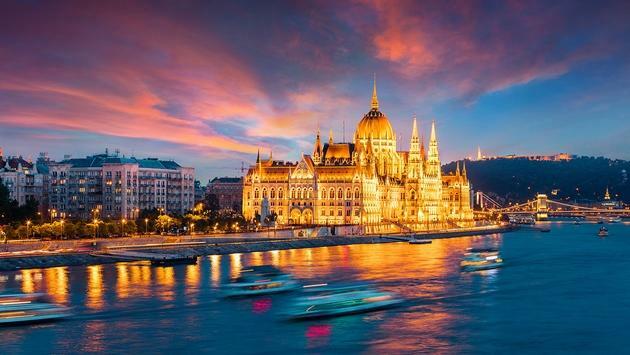 Another area perfect for lovers is Budapest, Hungary. With dramatic views, rich history and beautiful architecture, it’s impossible not to fall in love with the destination—while falling even more in love with each other. The Crystal Concierge will be sure to help you have just the right excursion booked, such as a romantic carriage ride. Brussels usually steals the spotlight when it comes to Belgium, but the city of Bruges shouldn’t be so easily overlooked. This destination offers scenic city views to take in and winding canals filled with cafes and great spots to discover with a loved one. Keep these places in mind when planning for your next romantic retreat and visit the Crystal Insider for more ideas.